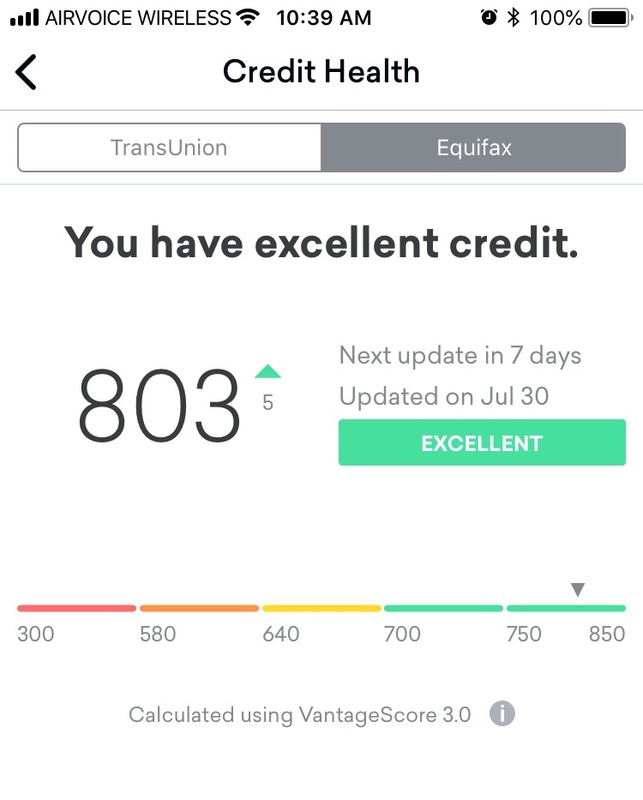 I got a nice little surprise today when I saw that my credit score had broken into the 800s for the first time. It is mostly meaningless, as anything over 720 or 740 will qualify you for the best lending rates. Pay your bills on time, don’t use 100% of your available credit, and go enjoy life!